At the office, fall is one of our favorite seasons! We like to decorate the office in fall leaves and fall-themed decor to share our love of the season with those who come in. 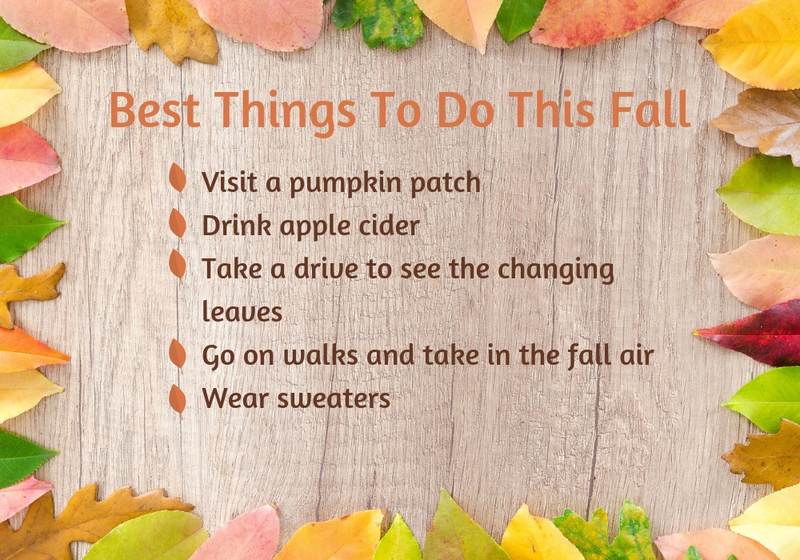 We’ve also made a list of some of our favorite things to do during the fall and are hoping to incorporate some into our day to day.